Traveled from the 32 degrees in New England this morning to 91 degrees in Naples, FL. A quick watercolor sketch a the first in a new sketchbook and the first entry into the new Travel Journal. Thus it’s a roof feature on the Naples Yacht Cub a seen from our balcony lanai. Pelikan watercolors in a Stillman and Birn Sketchbook. Thanks. Happy drawing in Rome. Such a wonderful city. 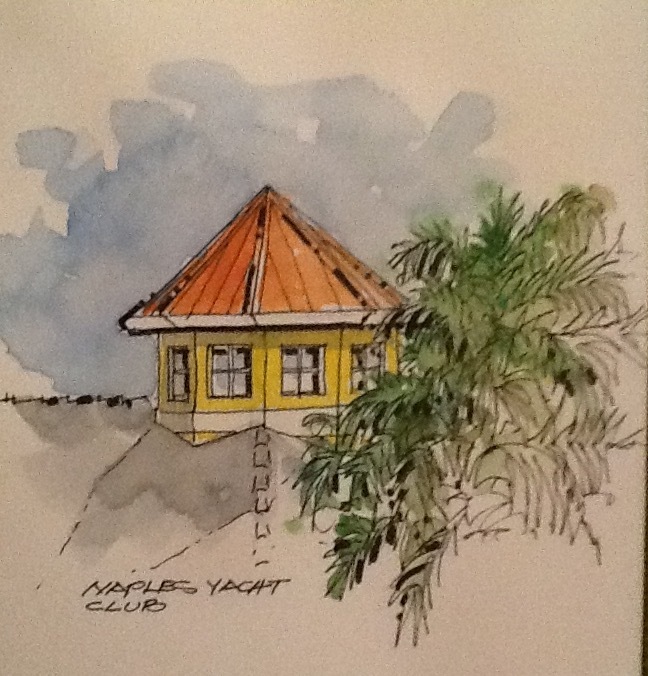 Beautiful sketch, lovely view from our lanai! !